Every cell must replicate and segregate their genome faithfully during each cell cycle. Errors in chromosome segregation during mitosis or meiosis can result in chromosome gain or loss (aneuploidy) and chromosome instability (CIN), which may lead to cancer progression, spontaneous abortion or birth defects, such as Down syndrome. Understanding the cellular mechanisms that ensure accurate chromosome segregation is fundamentally important and medically relevant. The underlying mechanism can also be applied to the development of artificial chromosome technology for gene therapy purpose. Centromere is the specialized chromatin domain for directing chromosome segregation. 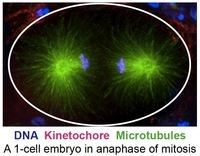 At entry into mitosis, a multi-protein complex, called the kinetochore, assembles on the centromere of each sister chromatid to mediate attachment to the mitotic spindle for chromosome movement. 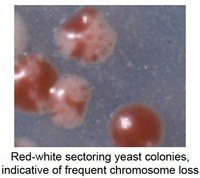 Centromeric DNA sequences and sizes vary dramatically among eukaryotes, from 125b in the budding yeast S. cerevisiae to megabases of satellite repeats in vertebrates, and to a diffuse centromere (holocentromere) along the length of the chromosome in the nematode C. elegans, some insects and plants. Yet, kinetochore proteins and architecture are highly conserved. Importantly, all active centromeres contain a histone H3 variant, CENP-A / CenH3, which replaces H3 in centromeric nucleosomes. CENP-A is proposed to serve as an epigenetic mark for centromere identity, in addition to acting as a foundation for assembly of the kinetochore. Occasionally, neocentromeres can form on non-centromeric DNA sequence, and introduction of naked centromeric sequences into cells can form stably propagating artificial chromosomes at very low frequencies. However, how the CENP-A centromeric domain is first established and how it is maintained through generations and mitotic cell cycles is not well understood. Using C. elegans as a model, we combine molecular biology, genetics, live cell imaging, biochemistry, genomics and proteomics to study the mechanisms of centromere establishment and propagation. We found that in C. elegans, injection of naked DNA devoid of any C. elegans genomic sequence can result in formation of autonomously segregating extra-chromosomal arrays containing de novo centromeres at high frequencies. Understanding what factors determine centromere formation will advance the engineering of artificial chromosomes for stable delivery of therapeutic genetic information. Chromosome instability (CIN) and aneuploidy are hallmarks of many solid cancers, and CIN has been proposed to drive tumor progression and heterogeneity. An increased rate of chromosome missegregation has been suggested as a cause of CIN. Overexpression of CENP-A and other kinetochore proteins have also been observed in cancer cells, causing ectopic kinetochore formation and chromosome missegregation. To systematically determine the genetic basis of CIN, we have developed chromosome stability assays in model organisms. Most basic cellular mechanisms, such as cell cycle regulation and chromosome segregation, and the genes functioning in these pathways are well conserved throughout eukaryotes. 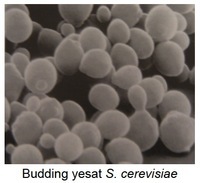 The budding/brewer yeast S. cerevisiae is a single-cell eukaryotic organism with ~6,600 genes. Using a systems biology and functional genomics approach in the budding yeast, we can identify and characterize genes important for maintaining genome integrity, including genes involved in kinetochore function, sister chromatid cohesion, mitotic spindle assembly, DNA repair, DNA replication, chromatin assembly, etc. Understanding the genetic and phenotypic differences between CIN tumor cells and normal cells will facilitate the development of cancer therapies that specifically selects against CIN cells. Taking advantage of the ease in genetic manipulation and the rapid, robust cell cycle in yeast, we can also develop assays to screen for CIN cell-selective drugs. Zhang W, Yeung CHL, Wu L and Yuen KWY^. Bre1 is Required for Sister Chromatid Cohesion Establishment in Saccharomyces cerevisiae. eLife. 2017. 6. pii: e28231. doi: 10.7554/eLife.28231. Fung RSK, Bai J, Yuen KWY, Wong AOL^. Activin/follistatin system in grass carp pituitary cells: - Regulation by local release of growth hormone and luteinizing hormone and its functional role in growth hormone synthesis and secretion. PLoS One. 2017. doi: 10.1371/journal.pone.0179789. Lai K, Li J, Chan C, Chan T, Yuen K, Chiu J. Transcriptiomic alterations in Daphnia magna embryos from mothers exposed to hypoxia. Aquatic Toxicology. 2016. 177:454-463. Yuen K. Chromosome Instability (CIN), Aneuploidy and Cancer. Encyclopedia of Life Sciences. 2010. doi: 10.1002/9780470015902.a0022413. Undergraduate students for Final Year Projects, Directed Studies, Summer Research Fellowship and Part-time research assistants. Experience in molecular biology, microscopy, cell biology, and genetic analysis would be an asset. Interested applicants should send your CV with a description of previous research experience and research interests to Dr. Karen Yuen. 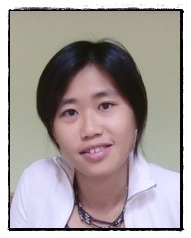 2012/11/08 How to Prepare for your Research Postgraduate Study? When and Where?